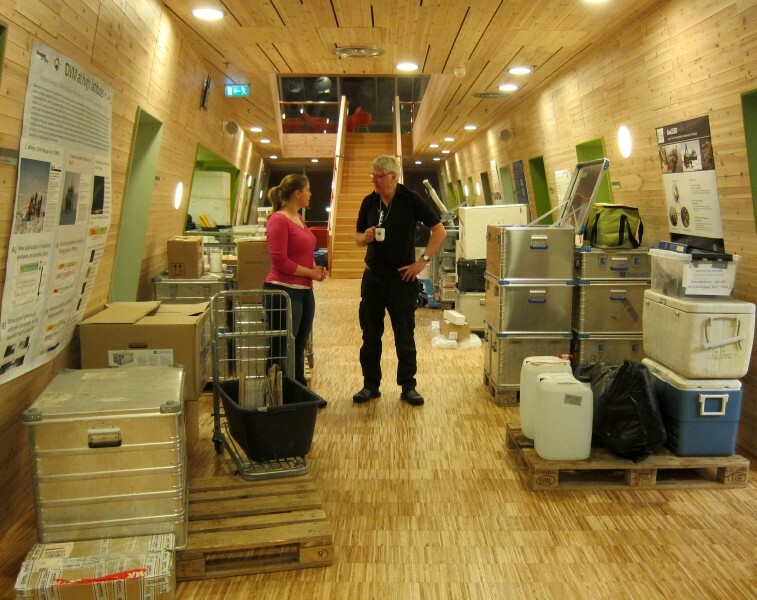 We left Longyearbyen the evening of the 15th of January after a busy day of packing amazing amounts of heavy research equipment on board R/V Helmer Hanssen (Figure 1. Packing at UNIS). 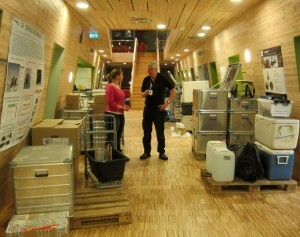 We even packed a ton of water and a pallet of hay needed in Ny Ålesund! After arriving in Kongsfjorden early next morning the deck became the scene for frantic activity. Because this is a short research cruise, our sampling schedule is unusually tight. Every type of sample will be collected both around noon and around midnight each day. 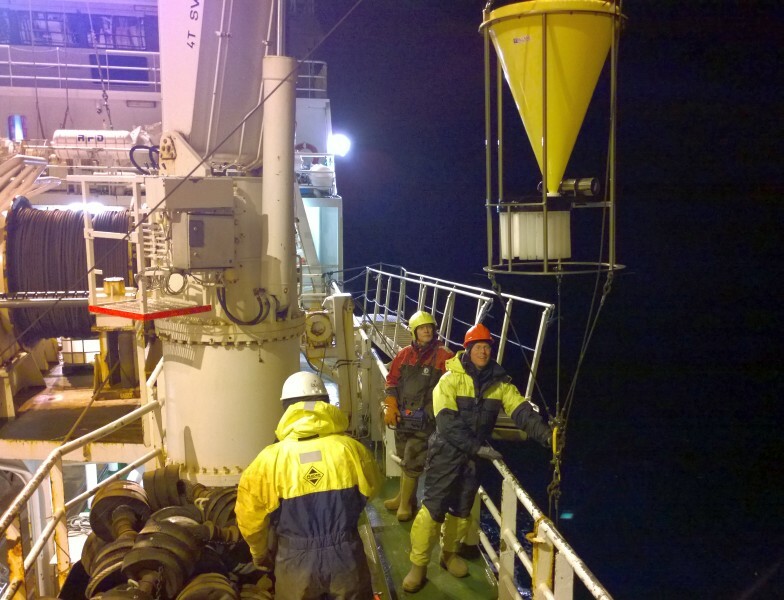 The major event of the day was the deployment of a mooring equipped with acoustic loggers (Figure 2. Deployment of the mooring). 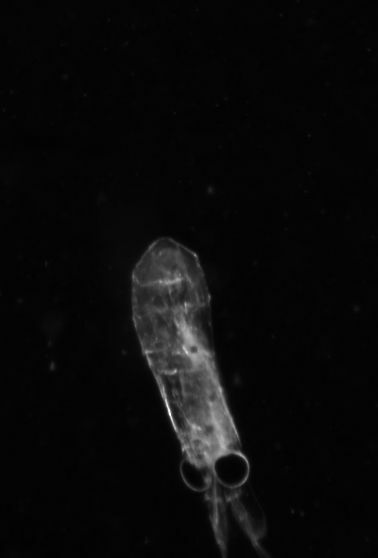 These will continuously log the vertical movements of zooplankton for the duration of the campaign. All other sampling schemes (for example water samples, plankton nets, Video Plankton Recorder) also started up during the day. 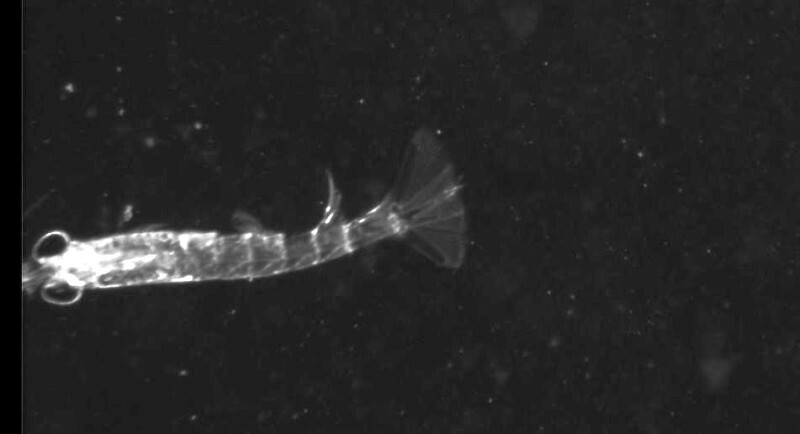 Both net samples and images from the Video Plankton Recorder showed large amounts of krill in the fjord. (Figure 3. Krill pictures from the VPR).